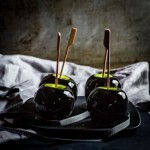 3 easy Halloween treats made with pantry staples and simple enough for kids to make themselves. Perfect for Halloween parties or lunchboxes. 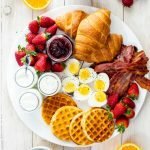 Halloween is right around the corner and if you’re expecting some trick or treaters coming to your door, why not delight them with these adorable easy Halloween treats? 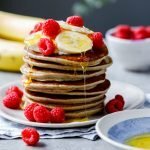 The kids and I had such fun making these fun, delicious snacks and desserts. But be warned: they are deceptively delicious and completely addictive. Adorable Halloween treats for kids don’t have to be complicated, in fact the best ones are the simplest. 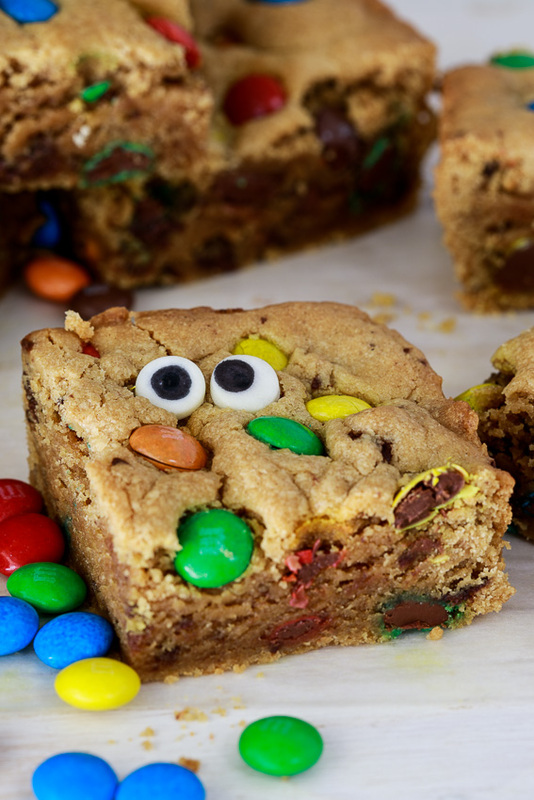 Make delicious peanut butter monster cookie bars by taking a simple peanut butter cookie recipe, adding M&M’s and googly eyes before baking. 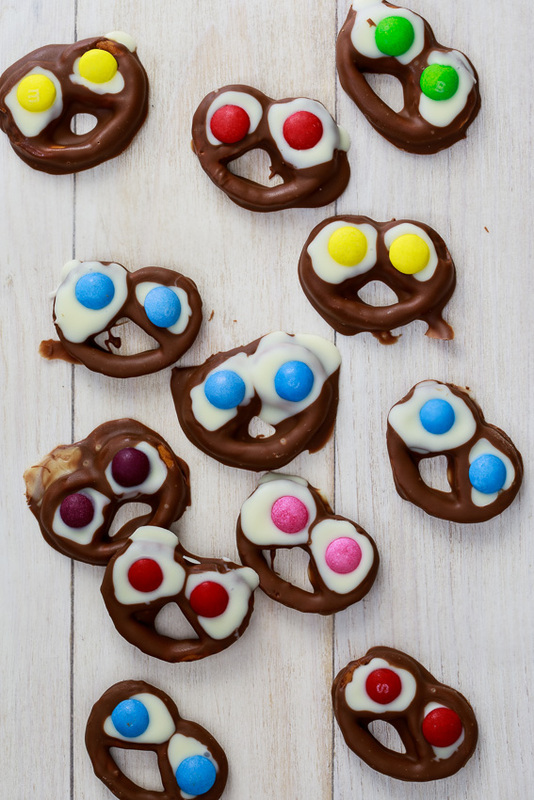 For a no-bake treat, spooky pretzels are great and they only require 4 ingredients. 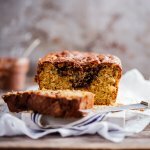 They are simply delicious and are a hit with kids and grown-ups alike. And for a salty-sweet snack everyone will swoon over, make a big batch of this Monster Munch Mix. 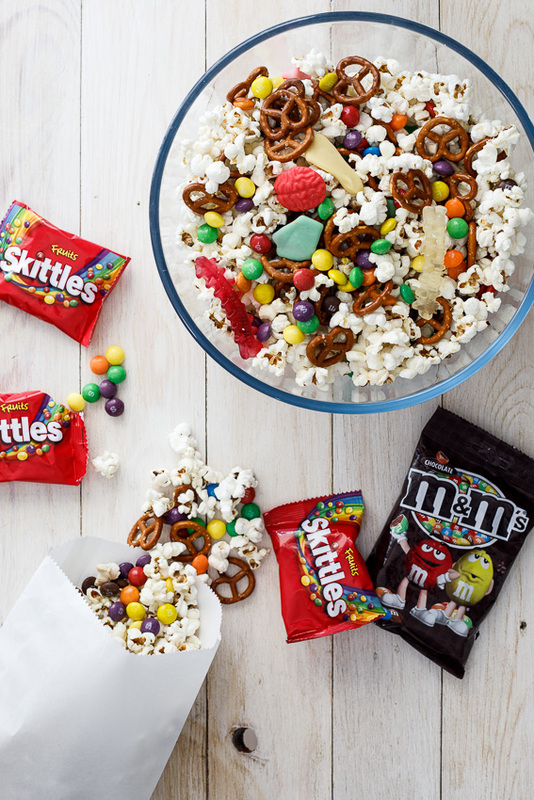 Popcorn, pretzels, Halloween candy, M&M’s and Skittles all come together to give you the kind of snack dreams are made of. Salty, sweet, crunchy, chewy in every bite. Yes please! I teamed up with M&M’s and Skittles to bring you these tasty treats and to extend your Halloween celebrations, M&M’s and Skittles are running The Treats That Do The Trick in-store competition until the 4th of November, where you can stand a chance to win a share of R3 million in Ster-Kinekor vouchers to gorge yourself with movie marathons. Talk about a scarily good prize! To enter: Purchase any two packs of M&M’s or two packs of Skittles or one pack of each, dial *120*3836# and follow the prompts on the screen. The competition will run in all major retail stores nationwide. Follow M&M’s on Facebook and Twitter and Skittles on Facebook and Twitter for more info. 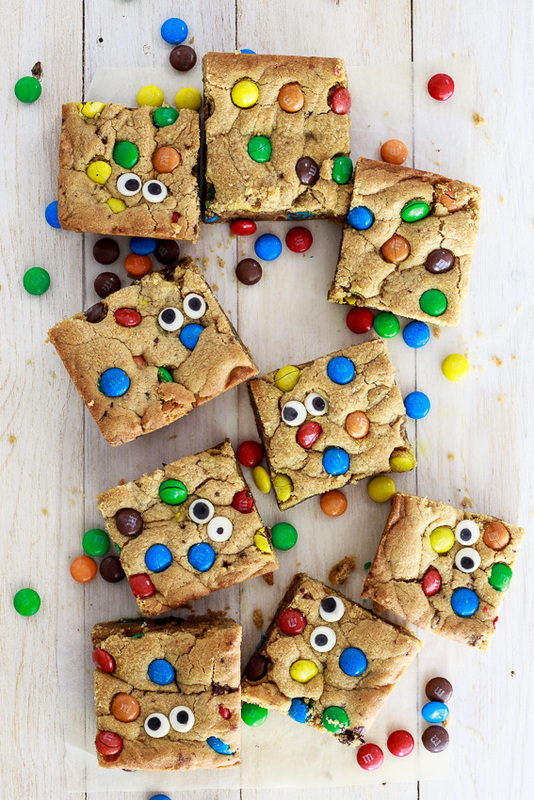 Easy peanut butter monster cookie bars. Pre-heat the oven to 180ºC/350ºF and line a square baking pan with parchment paper. Cream together the peanut butter, butter and sugar until light and fluffy then beat in the vanilla and eggs. Beat in the flour, a cup at a time, and add the baking powder and salt and mix well. Fold in the chocolate chunks and M&M's then press into the prepared baking dish. Top with more M&M's (optional) and edible googly eyes. 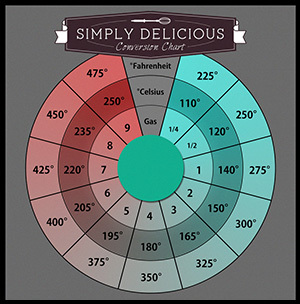 Place in the oven and allow to bake for 20-25 minutes until the dough is golden brown and a skewer inserted comes out clean. 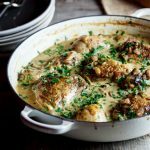 Remove from the oven and allow to cool completely before slicing and serving. 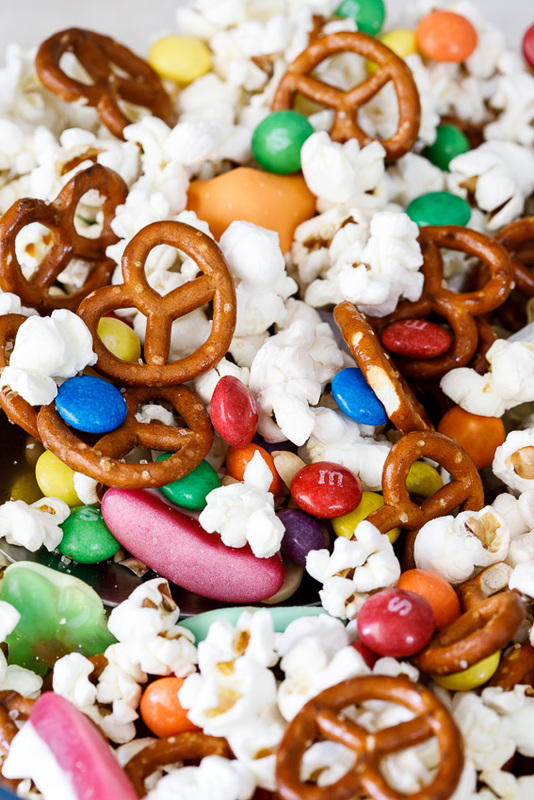 Monster munch mix with popcorn, pretzels and Halloween candy is the ultimate Halloween treat. Serve in snack bags/popcorn boxes for the ultimate Halloween treat. 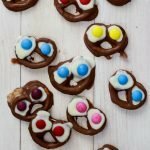 These adorable spooky pretzels is a 4-ingredient Halloween treat your family will love. Line a plate/chopping board with parchment paper. Dip the pretzels into the melted white chocolate and place on the parchment covered board/plate. Place in the fridge to allow to set for 5 minutes. Carefully pour white chocolate into the two smaller hollows (where the eyes are going to be) then add Skittles and M&M's to form the eyes. Place back in the fridge to set for 30 minutes before serving. 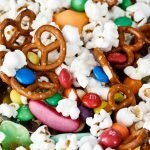 Ok, so I’m sure these recipes are meant for kids but I would eat that entire bowl of popcorn in one sitting!! 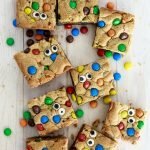 M&M’s are my kids favourite sweets so I can’t wait to make them those cookie bars. I hope you love them as much as we did! How adorable! I can’t wait to try these recipes.